Diesel has launched a new collection marked ‘The Powder of Diesel’. The collection is inspired by the world of pigments in cosmetics – the blushes, eyeshadows, powders and more (ladies would know better..). Diesel wants to give these shades to their denim collection. With bright colors , light fabrics , jegging and other styles , it might just turn out to be a great selection for the summers for the girls ! Diesel took the color denim trend to the next level by adding a secret ingredient: powder. “Don’t just be cool – be Powderful”!! What is Diesel + Powder ?? Well , what happens ladies when you get ready everyday using various cosmetics including powder.. 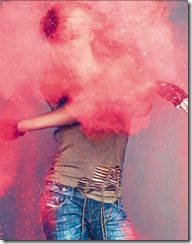 If you are in a hurry or have butter fingers, some of the powdery cosmetics get sprayed all over yourself. 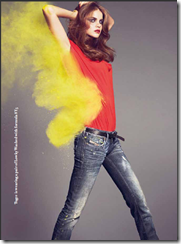 The powder shines on the jeans or any other dress that you might be wearing. So ! , Diesel decided to do it on purpose to blend cosmetic references with latest innovations in fabric cut and styling. So you will find various colors of powders sprayed over these jeans and this should draw a lot of attention to you and your jeans ! What are the washes done on the Diesel Powder collection ? 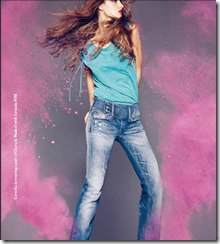 Diesel pinkish effect is obtained by hand sponging with natural color pigments. the denim in the final phase. The 8MZ “Splash of Talc” is another star wash, seen at its best advantage on the Matic fit. A 13 ounce base is softened with a number of complex manual treatments. A final press gives the fabric a luminous summer look. Localized sponging using oxidizing elements on pockets and hems adds further touches of light. variation, using a manually applied color spot treatment. treatment and an all-over manual spray treatment. This effect is highlighted by a bleach treatment . These were some of the cool washes from Diesel on their powder collection . We will cover some more cool washes from Diesel shortly . So keep watching ! !